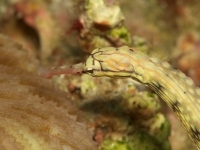 Pale yellow color with line stripes, black stripes on the head and many darker bands along the body. Variations in appearance occur amongst this species in the Pacific and Indian Ocean, which may turn out to be different species after all. They occur solitary, in pairs and in groups. 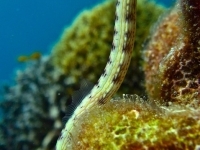 Unassessed by the IUCN Red list, but widespread in tropical waters. They can be found from Madagascar and the Seychelles, to the Red Sea and to the Society Islands in French Polynesia, from Southern Japan to Australia. 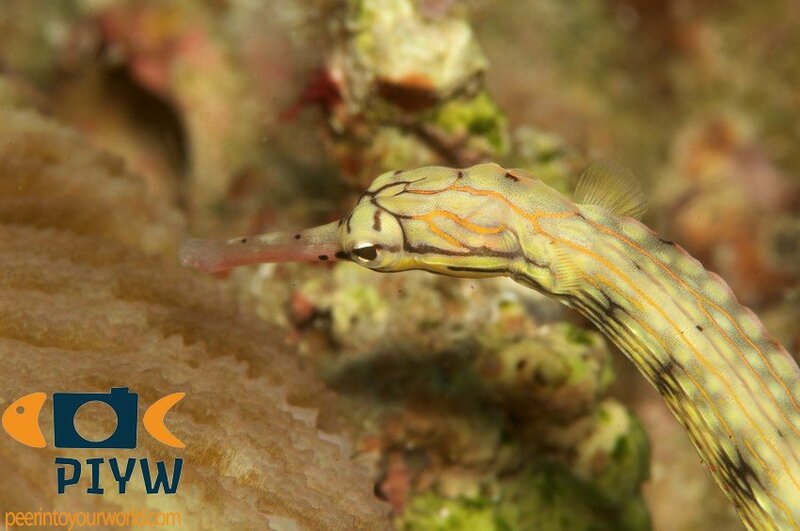 They live on rock and rubble, covered with algae and among live coral on seaward reefs, in a depth range of 1-25 meters. 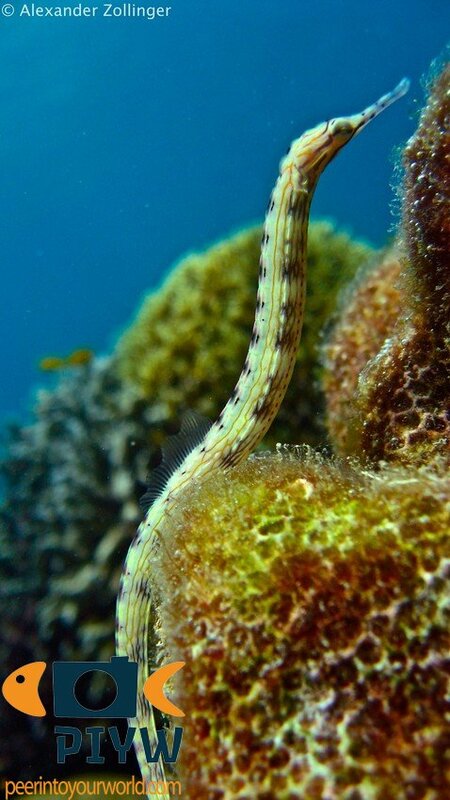 Pipefishes are relatives of seahorses and reproduce in a similar manner. The males carry the eggs until they hatch, in a pouch under the tail.